Halloween is my favorite holiday. What could be better than dressing up how ever you want and eating tons of candy? 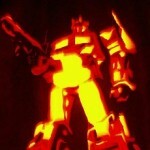 I’ve made a few Halloween costumes over the years for myself and others that were quite nerdy. I helped my little brother be Darth Vader too many years in a row and made a Link costume one year. Even if you’re not handy with a sewing machine there’s still hope for you to portray your favorite character accurately through the magic of online shopping. The Link costume I made wasn’t too difficult. It was comprised of a green nightgown, a brown belt, brown boots, hand painted foam board shield, and a handmade hat. If you’d rather be the Hero of Time in 4-10 business days, I’d recommend getting this Adult Elf Warrior costume. Costumes are a good investment if you go to conventions throughout the year. I start buying the materials for my costumes in July so there’s plenty of time to work out the kinks and think of a backup plan in case it doesn’t work out. Mid-summer or pretty much any time that isn’t Halloween is a good time to buy costumes online. They’re cheaper then and you don’t have to worry if the shipping takes a while. Don’t hand out the same old, boring Tootsie Rolls to your trick-or-treaters, send them home with the best thing in their Batman candy bucket! 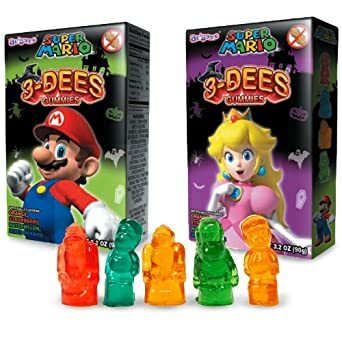 These gummies are delicious and fun. I found them at Aldi but you can also buy them online. 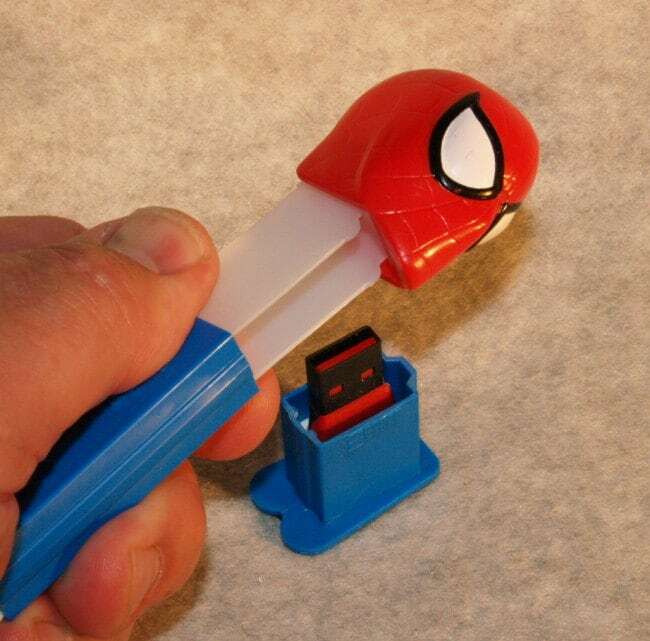 If you want to celebrate Halloween all year long, store your files and have some candy too with this Spiderman Pez dispenser flash drive. No matter what you decide to dress up as or what candy you eat or handout, have a happy Halloween! Our resident gamer girl does it again! 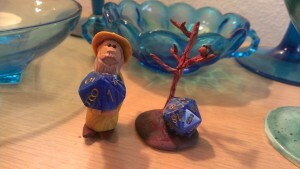 If you like Kayt’s ideas, you can see more of them at at her Etsy Shop. You really, really should stop in and look around! 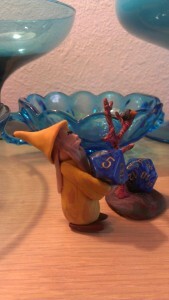 Translating your geeky interests into a decorating style is so much fun. If you’re not a fan of DIY projects, there are all kinds of things you can buy to make your domicile as awesome as it can be. If you don’t pay your bills for the next few months and feel like saving up for this instead, no one would blame you. 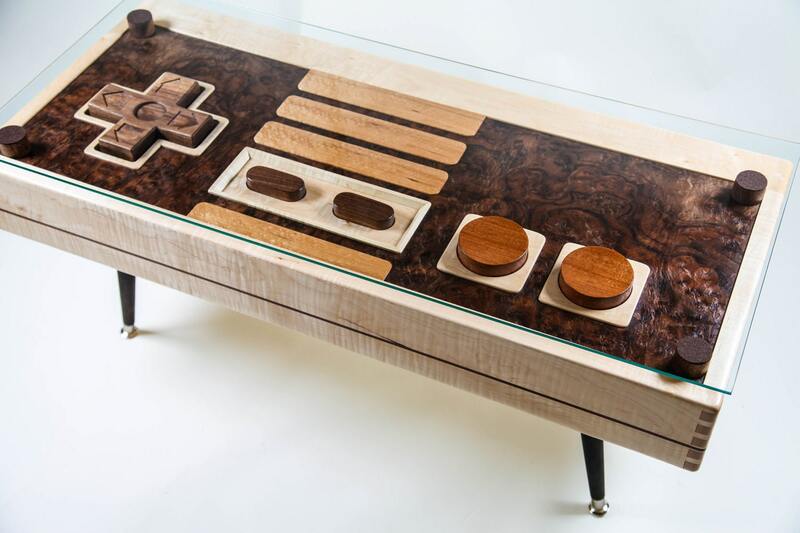 This functional NES controller coffee table would make for way more than just a conversation piece! 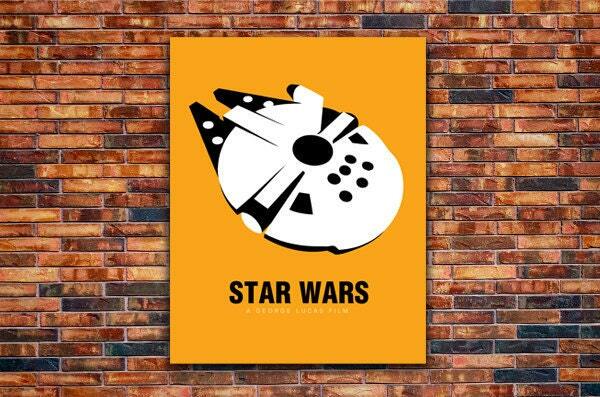 If you are a fan of projects you can do at home, you can make your own wall art pretty easily. All you need is a blank square canvas and something to put on it like a quote from your favorite movie or a printed out picture of your favorite superhero. Just add glue, markers, or Mod Podge to make a unique work of art. The space you live in should reflect your interests, so don’t be afraid to frame some posters. 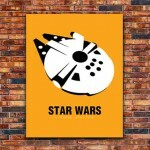 Make that mint condition Millennium Falcon replica the focal point of your wall or china cabinet! This is the second blog from our resident gamer girl! 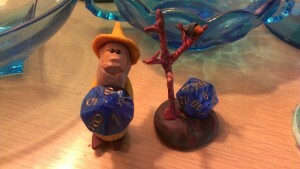 You can see more of Kayt’s work at her Etsy Shop. You really should stop in and look around!